It's one of those truisms that we know the shape of the surface of Mars and the Moon far better than we know our own planet. The reason for this is Earth's oceans: they cover 71% of the globe and are impenetrable to the satellite mapping techniques we use so capably on those other worlds. It's a huge task when you consider at the moment the vast majority of the water-covered parts of Earth are known to a resolution no better than about a kilometre. Some big technological shifts will be required in the next 10 years to correct the picture. And that is really the raison d'être behind the Shell Ocean Discovery XPRIZE. Nineteen teams drawn from 13 different countries are currently having their solutions assessed before being asked to demonstrate the innovations next year in a major field trial. This will see the teams have to map at least 50% of a 4km-deep, 500-sq-km zone of ocean floor inside 24 hours. Features as small as 5m must be observable. 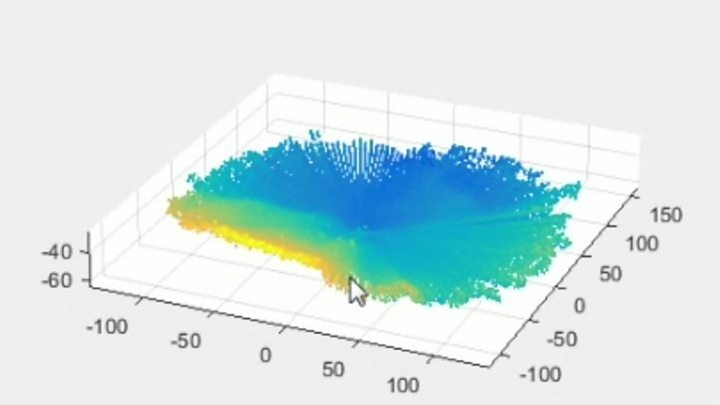 Imagery must also be acquired in addition to the depth data. The readiness of the UK entry is being assessed this week. 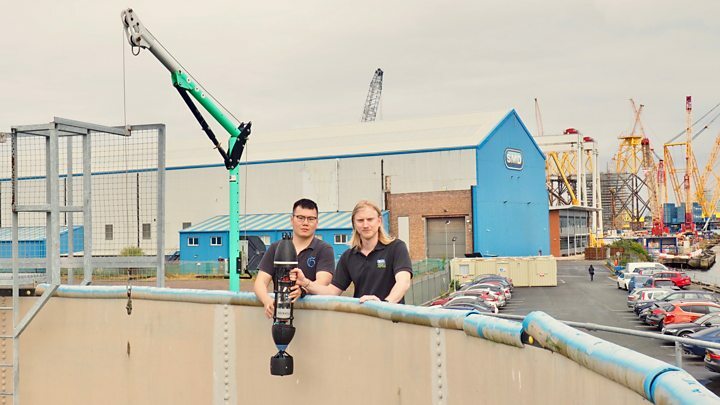 Team Tao is a joint venture between Soil Machine Dynamics Ltd (SMD), which makes large subsea vehicles, and Newcastle University. 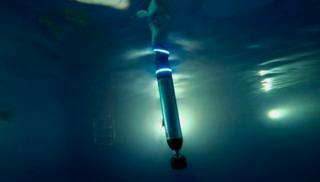 Team Tao proposes to deploy an army of small, torpedo-like robots called BEMs, or Bathypelagic Excursion Modules. Dale Wakeham is team leader: "We're going to have a surface vessel that can patrol the oceans autonomously. On that vessel will be 24 of these BEMs. These BEMs operate as a swarm and together they will very quickly map the seafloor as well as collecting data about the water column. "At this stage we're developing a system that can carry about five BEMS next year. Then, in future, as we build our business, we hope to scale up." Media caption"A low-cost platform to provide access to our oceans' vital signs"
What you are seeing here in many ways mirrors the major change that's occurring now in the satellite business. Increasingly, the big, expensive, bespoke-engineered spacecraft of the past are being caught and overtaken by smaller systems that are leveraging the cheap, miniaturised electronics that drive our smartphones. So whereas the seafloor today is mapped by large, extremely expensive echo sounding systems, the XPRIZE aims to accelerate the introduction of what amount to "cubesats for the ocean". Team Tao has custom designed the sonar sensor that it will put on each BEM, but much else inside the robot is "off the shelf". Of course, just as you cannot simply launch smartphone components straight to orbit without some testing, so you cannot drop them in several km of pressure-crushing water and assume they'll be fine. At Newcastle University, Team Tao has access to a chamber that will simulate 6.5km ocean-depths. This has allowed for rapid build-and-test of BEM elements. "Sometimes, we just have ideas. We draw up the model, print it, pass it to the guy who does the hyperbaric chamber and then a couple of hours later we have the validation," explained Hua-Khee Chan, Team Tao technical lead. "The camera on the BEM, for example: It's a simple security system CMOS sensor for which we've designed the pressure vessel. The first one blew up but then we just iterated until we found the right solution." The XPRIZE judges are on Tyneside to measure Team Tao's performance against 11 criteria. These range from the most basic "is your system leakproof?" through to a demonstration of data handling and storage. Dale and Hua-Khee will show off the BEM design in a large diver training tank and present sonar scans obtained in Lake Windermere. All the teams are being assessed in the same way and if they come through the examination they'll get invited to the big field test. The XPRIZE Foundation had also hoped to run a 2km-deep trial at this stage of the competition off Puerto Rico. But this became impossible following the damage inflicted on the island by Hurricane Maria. "The delay has worked for us, for sure," says Dale. "If we'd had to go to Puerto Rico now we'd probably only have two BEMs. We aim now to go to the final with five but that will demonstrate our system. For the future, we just have to scale up to a bigger surface vessel. With the full system - a 12m autonomous surface vessel and 24 BEMs - we should be able to map more than 200 sq km a day." That is all for the future. First, Team Tao has to get through its inspection. Jyotika Virmani is the senior director for planet and environment at XPRIZE. She told the BBC: "The technology [Team Tao] are proposing is actually really different; it's very exciting technology. I can't say too much about it now but when I heard about their technology, it was like 'wow!'. If they can do this, and indeed if some of the other teams can pull off what they are proposing as well - this would revolutionise how we would access the deep sea."